A true small-batch, craft honey liqueur from a family-owned business. We’re excited our family can share Halo with yours! 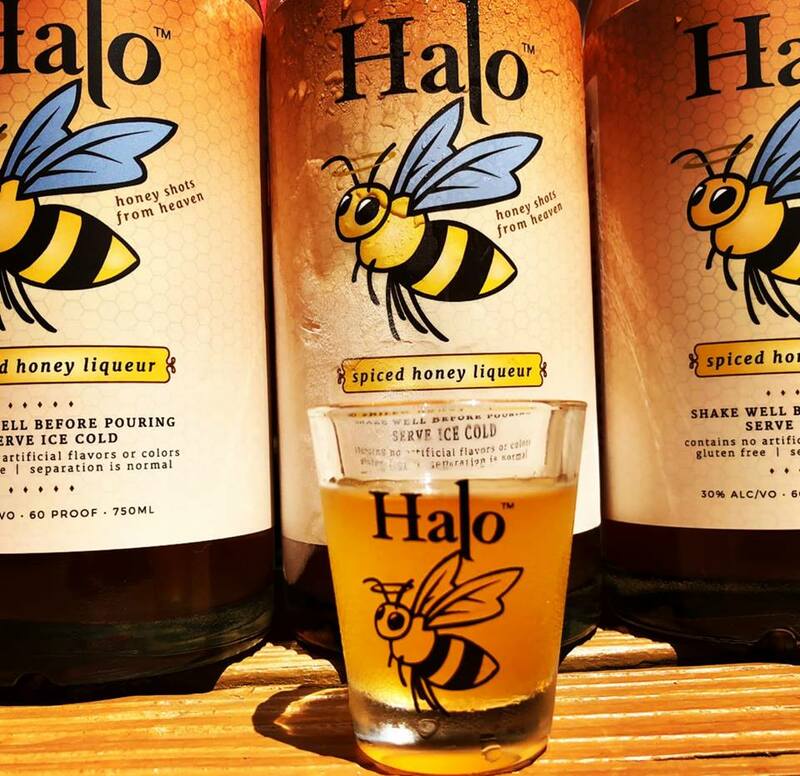 As an Eastern European family, we’ve enjoyed Halo spiced honey liqueur for decades. 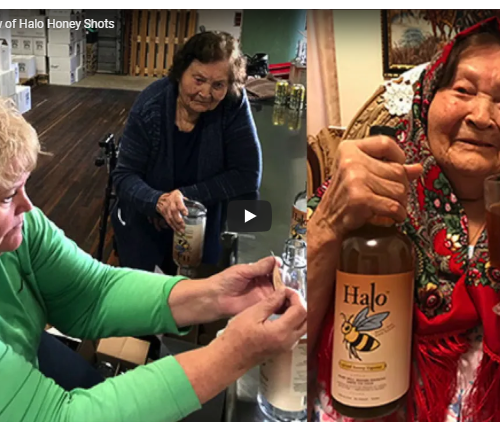 In the old country, families make unique honey liqueurs, passing down recipes generation after generation — using real honey mixed with a variety of different fruits, herbs, and spices. A sign of good hospitality in Eastern Europe is to offer shots to your guests, welcoming them into your home. This tradition continued with our family, sharing our blend of this wonderful liqueur with our family and friends. Halo is hand-crafted by the Parrish family and there is nothing like it on the market! You’ll notice the beautiful amber-color in the bottle and may see some slight sediment which is why we recommend shaking before serving. 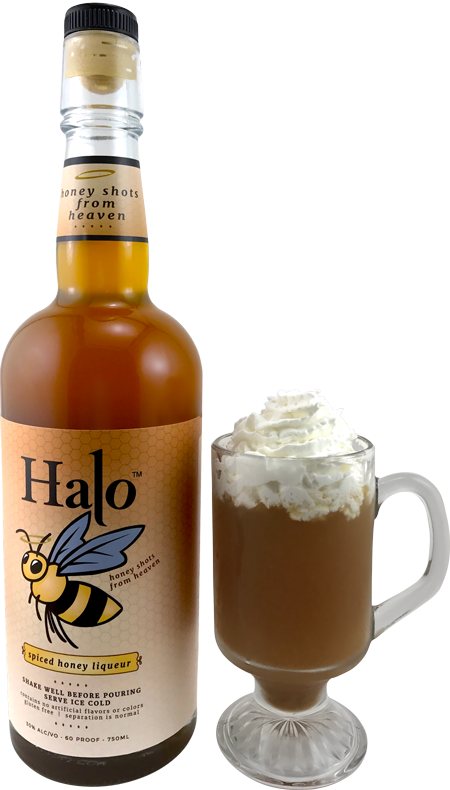 We relate our liqueur with special memories, be it a party, family reunion, camping trip, golfing, football tailgate, or a nice, quiet moment in front of the fireplace, Halo is the perfect liqueur. We are excited to share our tradition with you and yours. right out of the freezer. 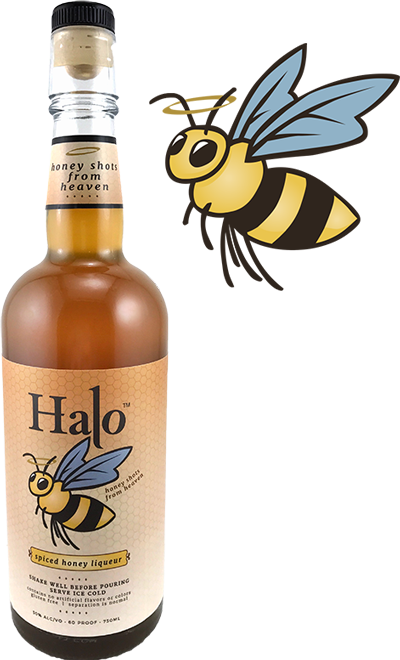 Halo Honey Shots is an all-natural, uniquely spiced honey liqueur which balances exotic spiciness with the sweetness of real honey. Add 2 oz of Halo and 2 oz of Bourbon.